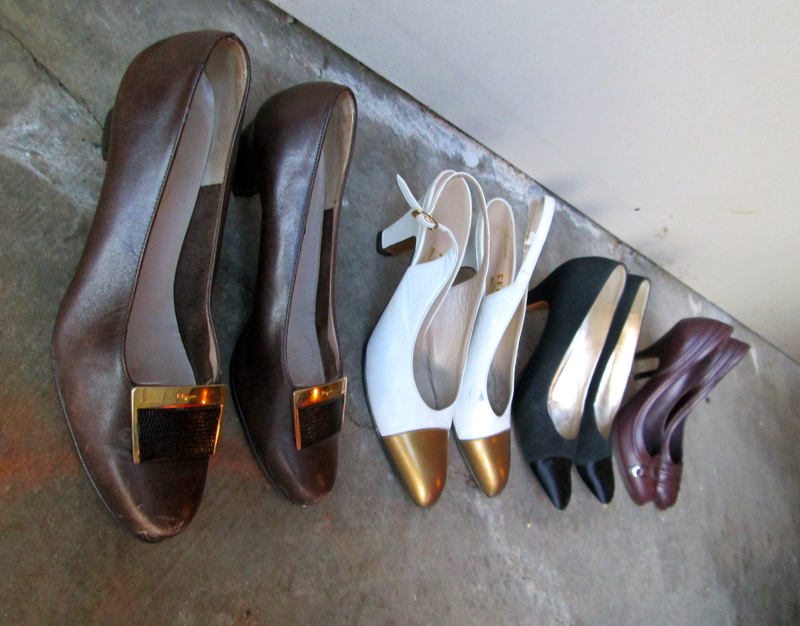 Posted on October 31, 2012 by Sarah S.
Lately, I’ve been experiencing closet remorse. 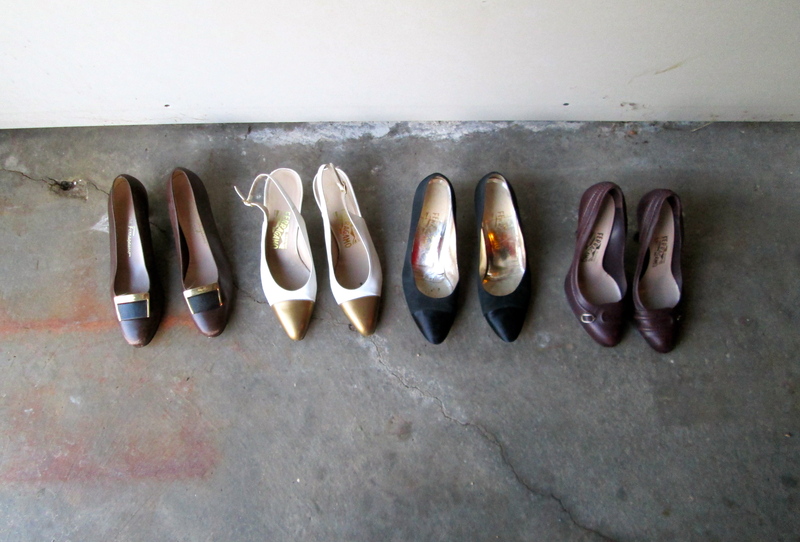 For most of my life, I spent relatively little on clothing and accessories, but as soon as I entered the work force, began earning an income, and started working in the apparel industry, I’ve since built a nearly completely new closet. As a result, I’ve felt a bit guilty about my wardrobe collection. To be fair, I shop primarily resale, and I’ll be honest, clothes shopping is now a (serious) hobby of mine. In an effort to remind myself that I’ve built my closet into a solid (but not frivolous) collection of quality items, I’m going to feature some of my favorite pieces on Mia Prima Casa. I’m excited to showcase these unique pieces (most of which are vintage or antique) and I hope they inspire you a bit too! Better to wear a shoe that’s too big than one that’s too small. That could be akin to “make no small plans,” don’t you think? 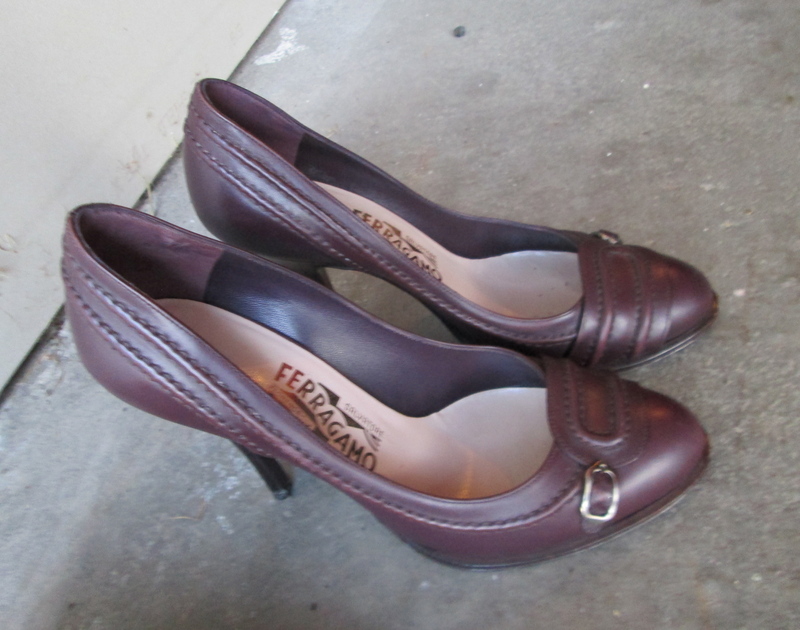 This entry was posted in Style and tagged closet, fashion, ferragamo, heels, salvatore ferragamo, shoe, style, vintage. Bookmark the permalink.